“The Little Boy That Santa Claus Forgot.” Composed by Michael Carr, Tommy Connor, and Jimmy Leach. Recorded by Jack Harris and His Orchestra, with Elsie Carlisle as vocalist, on November 1, 1937. HMV BD-5290 mx. OEA 5120-1. “The Little Boy That Santa Claus Forgot” is a secular Christmas song concerning a boy who receives no visit from Santa Claus and therefore gets no Christmas gifts. He feels out of place when he considers the treasured argosies awaiting other children. The song reveals that the boy is fatherless, and suddenly we see things from an adult perspective: since we know that it is parents who play the role of the mythical jolly gift-giver, the lack of a father could mean missing out on a common seasonal joy. In the end, the song changes its focus from a fictional character to the absent father who would normally impersonate him, and the boy’s unfortunate situation is revealed to be year-round, not seasonal. 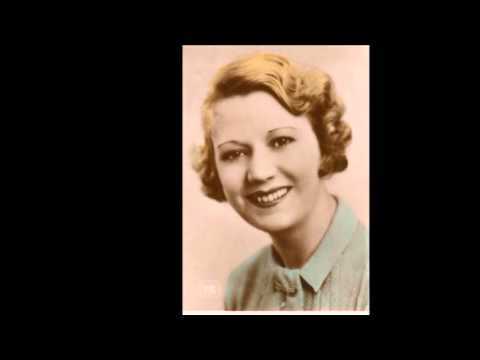 Jack Harris’s band lends a rich tone to this sad composition, and although the song’s lyrics have the potential to be cloying, Elsie Carlisle’s singing emphasizes their more poignant aspects. “The Little Boy That Santa Claus Forgot” has been recorded countless times since its composition in 1937. Vera Lynn’s version of it, recorded with Ambrose and His Orchestra six days before Elsie Carlisle did hers with Jack Harris, notably appears in the opening sequence of Pink Floyd’s 1982 movie The Wall, the relevance of its inclusion being that the father of Pink Floyd band member and screenwriter Roger Waters (and that of the fictional character that he based on himself) was killed fighting in the Second World War when Waters was only an infant. On the same day that Jack Harris recorded “The Little Boy that Santa Claus Forgot” with Elsie Carlisle, Billy Cotton did a version with Alan Breeze as his vocalist; it features a speech by a small child. Soon afterwards there were recordings by Phyllis Robins and Arthur Tracy. An early American version was recorded by Jimmy Ray and the Southern Serenaders.